Canberra’s rents have surged to a record high, now second highest in the country. Domain’s latest State of the Market Report released on Thursday shows Canberra’s median asking rent for houses has caught up with Darwin, at $530 a week, second only to Sydney, at $550. Rent for units has jumped to $450 per week, representing a quarterly increase of 4.7 per cent – the highest quarterly growth in the country. Canberra apartment rents are second most expensive in the country. The median rent in Sydney is $550 a week. Over the past year, rents in Canberra increased by 6 per cent, the fastest rate in the country bar Hobart. Dr Powell said the high rents were a result of Canberra’s tightening rental market and low vacancy rate. “Canberra’s high median weekly unit asking rent suggests we are seeing investors retreat from purchasing in Canberra,” she said. Jessica Gonzalez and her partner are well aware of the struggles of trying to find a rental unit in the Canberra market. “It’s competitive, it’s like a race. I rented in Melbourne and it is nowhere near as competitive,” she said. “When I applied for apartments in Melbourne, I was only competing with two or three people but here you have about 50 people looking. The couple were originally looking to rent in Canberra’s CBD, but could not find anything within their price range. “We wanted something in the city because I don’t drive – I’m epileptic,” Gonzalez said. They ended up settling for a one-bedroom apartment at Kingston Foreshore where they could rent for $400 per week. 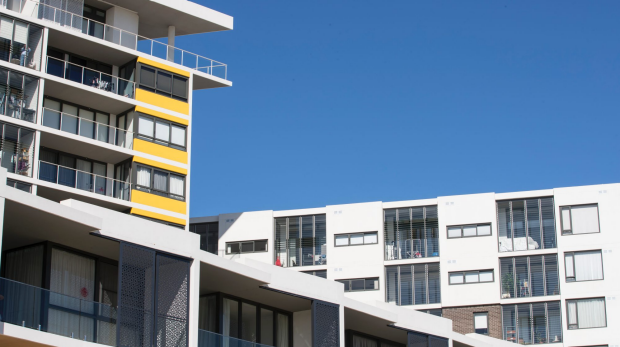 Rents are likely to face further pressure after the government’s decision to change the way rates are calculated for units, pushing rates up about 20 per cent for owners. ACT property council director Adina Cirson said Canberra’s increasing unit rents were attributable to a lack of diversity in the market. “We’ve had some of the lowest vacancy rates in the residential sector in the nation for quite some time,” she said. Following a record high achieved last quarter, Canberra’s median weekly house rents fell 1.9 per cent to $530 over the March quarter, the first negative quarterly movement since September 2014. However, median house rents in Canberra recorded a 6 per cent year-on-year increase, the second highest annual growth of all capital cities. “This is the first negative movement over the quarter for house rents since September 2014,” Powell said. Canberra’s asking rents for units and houses remained the second-highest in the country for the second consecutive quarter, sitting only behind Sydney. For investors, Canberra’s unit market is proving to be a gold mine, with gross rental yield growing 3.2 per cent in the last quarter to 5.84 per cent. This is the second-highest in Australia after Darwin at 5.89 per cent. While the unit market is hot property for investors, Canberra’s housing market was the only one among the capital cities to experience a quarterly decline in gross rental yield. This dropped by 0.1 per cent to 4.28 per cent. “The fact we’re the only capital city to record a decline shows a disconnect between the sales price and the yield,” Dr Powell said. A spokesman for Chief Minister Andrew Barr said Canberra’s population growth – the second-fastest in Australia – was fuelling demand for housing. “The government is working hard to help supply meet demand,” the spokesman said. The spokesman said the ACT government would continue to increase the release of land and housing developments across Canberra, with a “range of options including apartments, townhouses and single detached dwellings to cater for different housing needs across the community”.